MANILA, Philippines – Actor Rayver Cruz just laughed off rumors saying he and his girlfriend, actress Cristine Reyes, have already broken up. Speaking to “The Buzz” on Sunday, Cruz maintained that that he and Reyes are still"very much" happy together even if they do not regularly post photos on social media sites. “Siyempre kasi may mga trabaho. May trabaho siya. Kailangan ba parating may picture [kami na pinopost]? Nababasa ko naman iyon, natatawa na lang ako,” he said, referring to speculations made by some Filipino netizens. “Oo naman [kami pa], bakit? Masaya kami. Happy kami talaga,” he added. This is not the first time that their relationship was subjected to breakup rumors. Gerald Anderson, Rayver Cruz, and Maricel Soriano Together in One Big Upcoming Teleserye! Gerald Anderson, Rayver Cruz, and the Diamond Star Ms. Maricel Soriano will all star in the upcoming ABS-CBN drama series "Bukas Na Lang Kita Mamahalin." 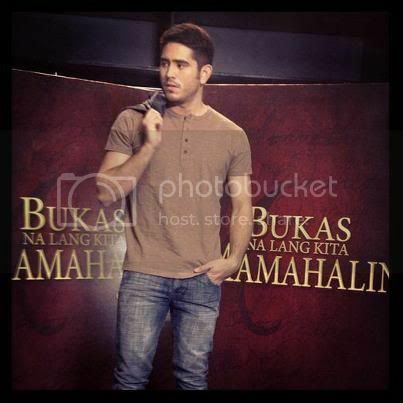 The above photo is courtesy of Gerald Anderson's Facebook Fan Page. "Bukas Na Lang Kita Mamahalin" marks the return of Marya in the Kapamilya station. This will also be the very first tandem of Gerald and Cristine Reyes in a TV series. Of course, Cristine joins her real-life boyfriend Rayver for the third time now. Apparently, the requirement for his role in this soap is a bit similar to the Hollywood action drama series Prison Break. “Yun ang peg namin. Sobrang action siya na may drama talaga. What attracted me is yung kwento talaga. Hindi lang yung drama, hindi lang yung action part,” said Gerald who maintained that Bukas Na Lang Kita Mamahalin will definitely cater to the taste of Filipino viewers. Soriano was also quoted as saying she is elated to have a handsome son in the show. “Well, si Ms. Maricel ‘yan. Anything coming from her na maganda tungkol sa akin, sobrang nakakataba ng puso,” Anderson told Push.com.ph. Anderson added he is more excited to learn from Soriano, who is dubbed as the country’s Diamond Star. “I feel blessed na kasama ako sa comeback project niya sa ABS-CBN. Excited ako kasi si Ms. Maricel ‘yan. Alam ko madami ako matutunan sa kanya. So, I’m really excited. Kung excited siya, doble 'yung sa akin,” he said. Meanwhile, the actor denied that he felt awkward working with actress Cristine Reyes in the show because of singer-actress Sarah Geronimo. “Wala po talaga. Pareho kaming professional. Leading lady ko siya so, for the next six months, I’ll do my best para alagaan and para magkaroon kami ng chemistry as onscreen partners. 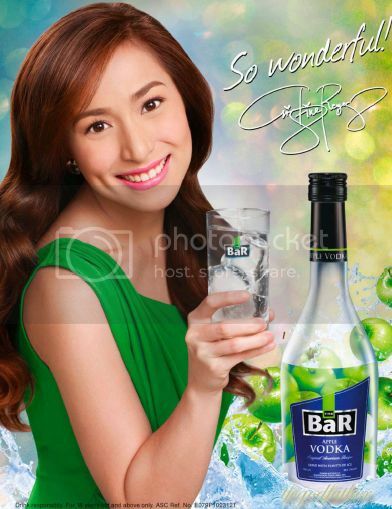 Magaling si Cristine and she can offer something different para sa mga viewers,” he said. Anderson was once romantically linked to Geronimo, who is the former girlfriend of actor Rayver Cruz. Reyes is currently the girlfriend of Cruz. MANILA, Philippines - Sultry star Cristine Reyes said that she is hoping to spend Christmas with her sister, Ara Mina. "I hope, I hope. Hindi napuputol yung hope ko," she said. She also stressed that until now, she is doing her best to reach out to Mina. "Hindi po ako tumitigil sa pagri-reach out na maayos. My sister Heidi is communicating with her and she still doesn't want to talk to me. I think hindi pwedeng madaliin so huwag nating piliin," she said. Mina filed libel raps against Reyes last April after an alleged dispute over the remaining balance for a house they bought for their mother. Mina filed charges of libel and grave coercion against younger sister Cristine Reyes not to claim money but to "teach her a lesson" for her attitude. In the interview, Reyes also cleared issue that she badmouthed her own mother. "Okay kami ni mommy so hindi ko alam kung saan nanggaling yung isyu na pinagmumura ko siya at hindi ko minura ang mother ko ever," she said. Reyes said that she and her mom are in good terms. For the coming year, Reyes said that she's only wishing for a good health and peace of mind. "Health kasi laagi akong sakitin at continued blessings," she said.